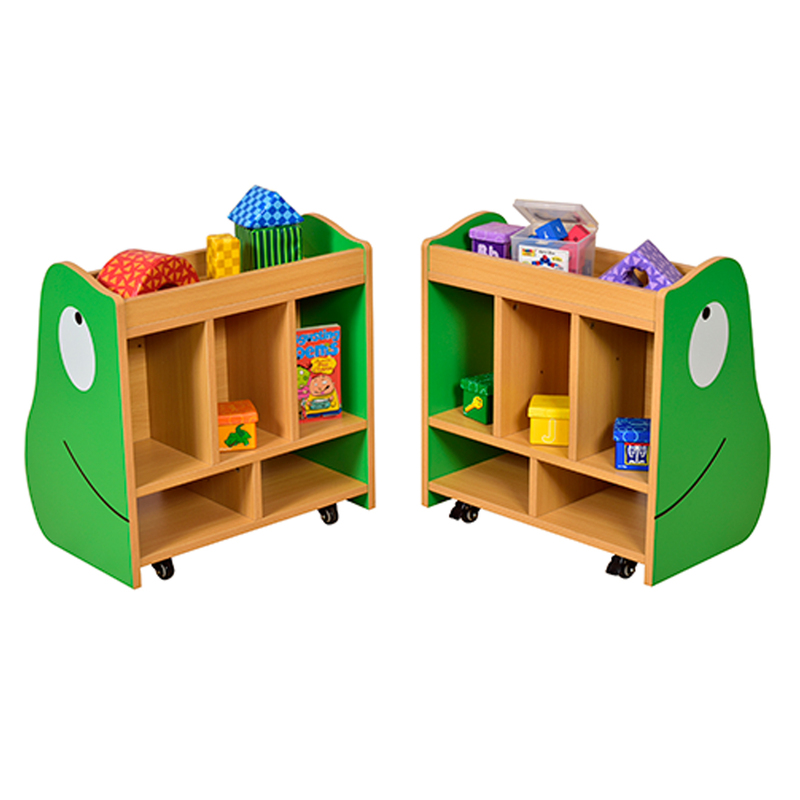 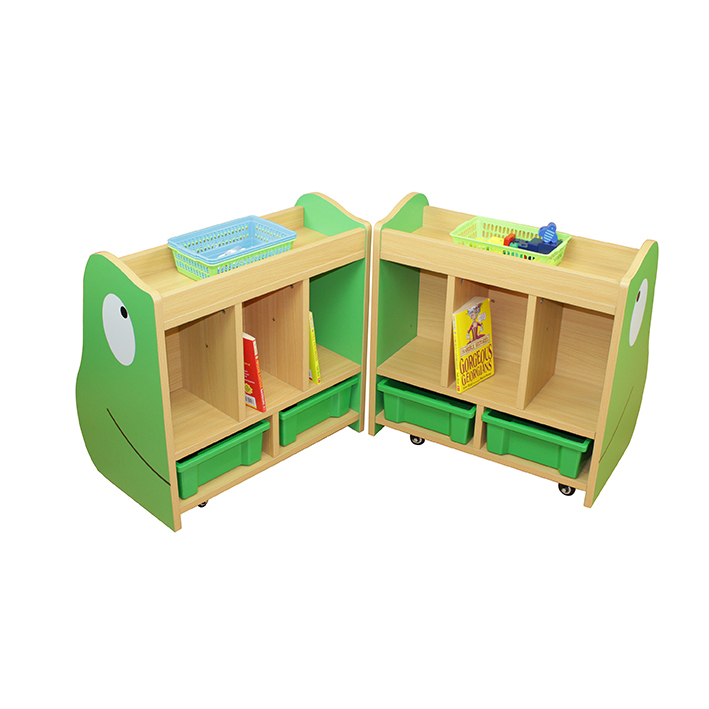 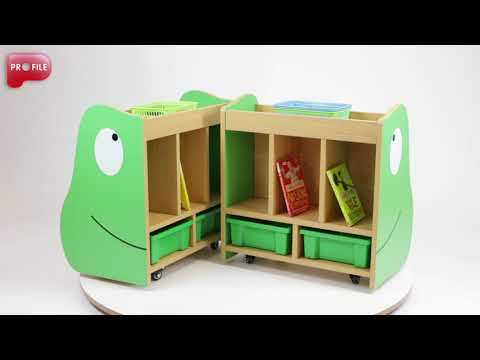 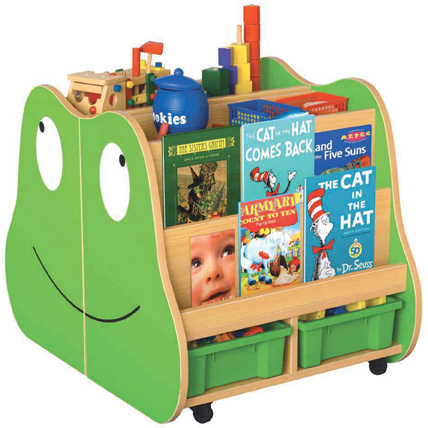 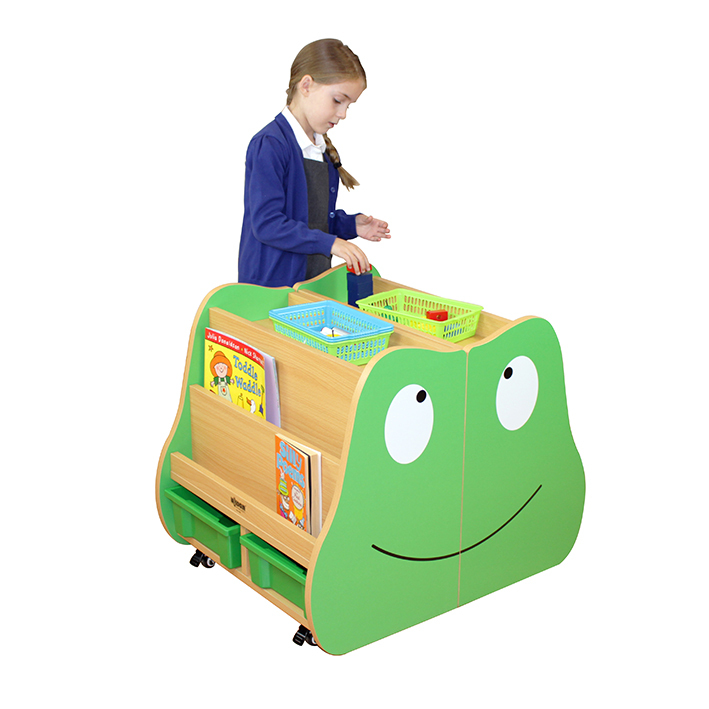 Brighten up your classroom with the happy Frog book storage unit, ideal for allowing children to browse and retrieve books in an easy and compact way. 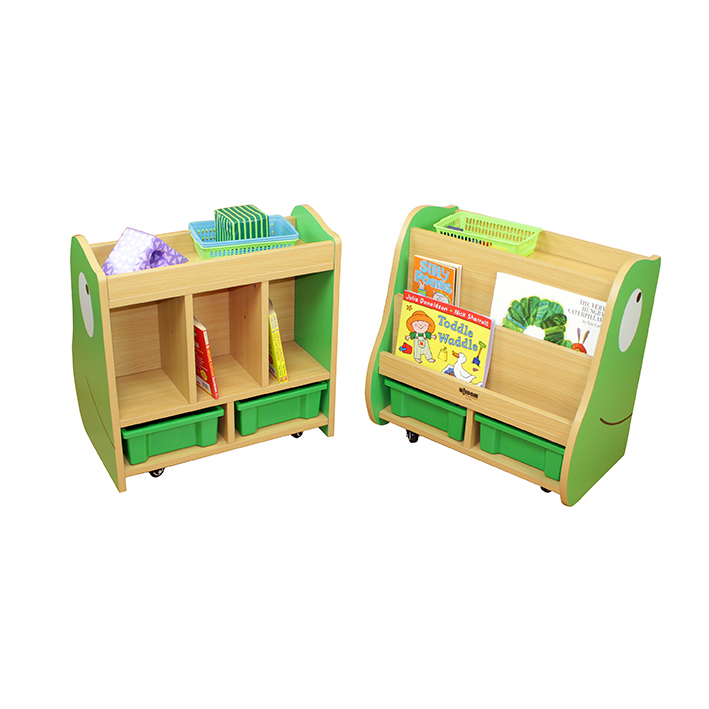 This double sided unit features tiered shelving to the sides for book display, internal compartments for all of your big books, and additional storage at the top and base of the unit for even more reading materials (4 small green trays included: H105 x W260 x D350mm). 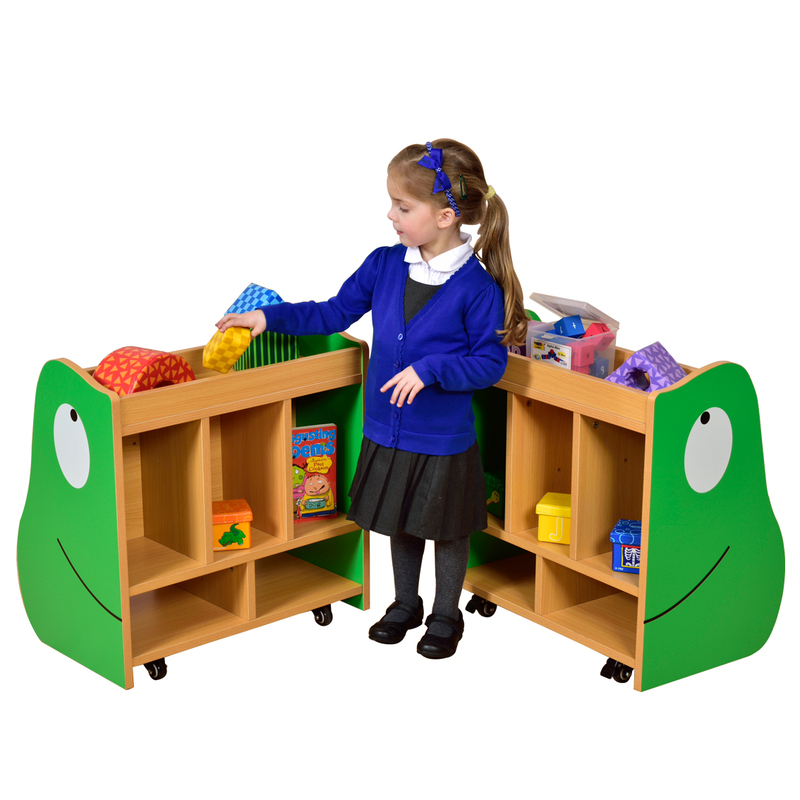 Supplied with lockable castors (8 castors overall, 4 lockable) and flat packed for easy assembly.